The latest addition to the 1-Series line up is the 2013 135is. 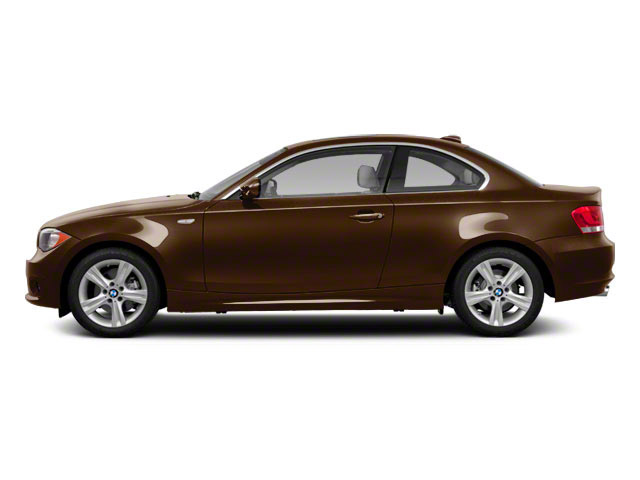 The 135is is available as both a coupe and a convertible and is the sportiest 1-Series available from BMW. It features sport tuned suspension, unique 18-inch wheels and an additional 20 horsepower. Cooling has also been improved, with BMW anticipating that many 135is owners will want to use their cars on the race track. 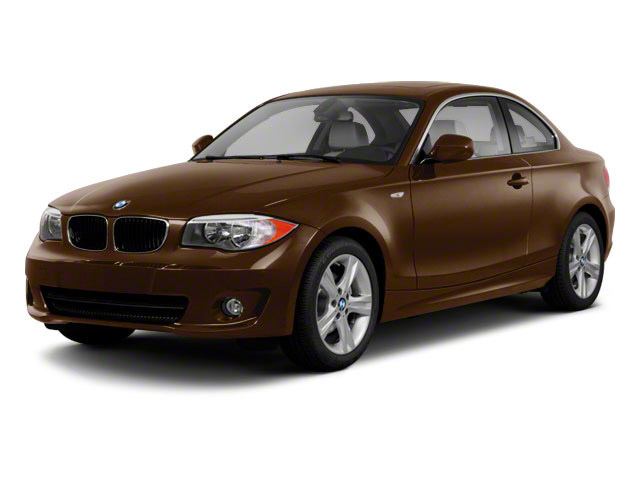 The 1-Series is offered in two different two-door body styles: a coupe or soft-top-equipped convertible. Both of these body styles can be specified in 128i, 135i or 135is form. The 128i comes with a 230-horsepower, 3.0L in-line 6-cylinder engine, while the 135i models get a 300-hp, 3.0L turbocharged six. 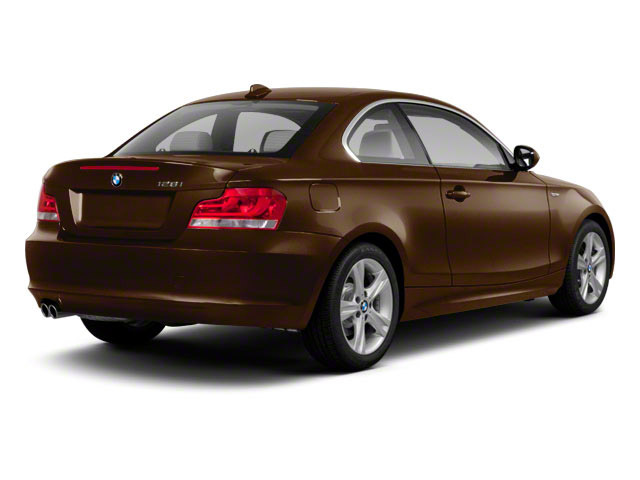 The 135is shares its engine with the 135i, but makes 320 horsepower, thanks to a freer flowing exhaust system. All 1-Series are rear-wheel drive and come with a standard 6-speed manual transmission that, in BMW tradition, provides great car control as well as a satisfying, tactile experience. Available on the 135i and 135is is a 7-speed dual-clutch (DCT) gearbox that enables very quick automated shifts along with improved acceleration and fuel economy. With the DCT, the 135i can get to 60 mph in just 5.0 seconds and brings a fuel economy rating of 18 mpg city, 25 highway--the same as the standard manual transmission. The 1-Series has a responsive but not overly firm ride, with a double-pivot spring and strut front suspension and rear control arms. A variable-ratio Active Steering system, which varies both the ratio and level of assist for quicker response, is optional on the 135i. In Convertible models, the top can be raised and lowered when moving up to 25 mph, and can go from up to fully down in just 22 seconds. The arrangement doesn't inhibit trunk space as some retractable hard-top systems do. In either model, there's also an opening with expandable bag that allows long items like a snowboard or golf bag to fit through. The silhouette of the 1-Series convertible is much like that of the coupe when it's up. A slightly different trunklid design in convertibles helps accent the design and improve visibility. Convertible models also include a special climate-control mode that reacts to the level of sunlight, and optional Boston leather has a sun-reflective treatment that helps reduce temperatures on hot days. 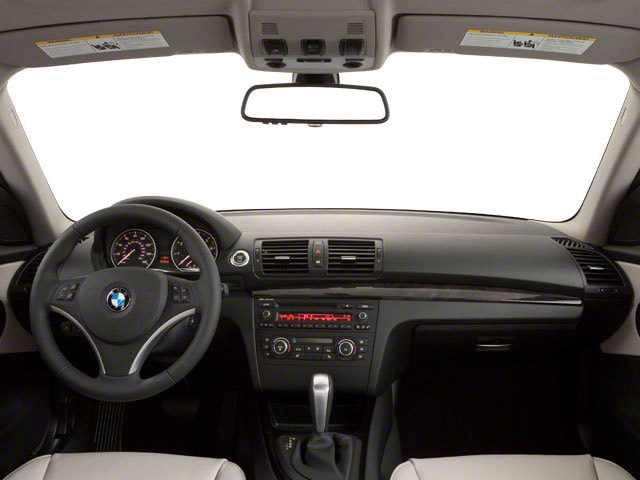 An available wind deflector helps bring a quieter, less turbulent interior at highway speeds. Whether in the coupe or convertible, there's plenty of space to sprawl in the front seats, though the back seat is quite tight. The BMW's Dynamic Stability Control is designed to allow a little more dynamic flexibility when driving the 1-Series quickly; the higher threshold helps not only in track driving but also in snow. A special rear-brake management mode helps simulate a rear differential to get better grip either out of a fast corner or in slippery conditions. A much more aggressive look--almost like that of the larger M3--as well as a little more performance can be achieved with the M Sport Package. It brings aero upgrades, flashier wheels, sport seats, special M-branded trim pieces and an exclusive LeMans Blue Metallic paint color, plus functional improvements that include a higher top speed, better brake cooling, a Sports Suspension and performance tires. With the 135i, brakes are upgraded to a strong 6-piston setup in front. Entertainment options include a harman/kardon surround-sound system, HD radio, Sirius Satellite Radio, USB/iPod controls, while a Bluetooth hands-free interface is available. Meanwhile, a heated steering wheel is available on both models as part of a Cold Weather Package and heated seats are also available. The optional navigation system is hard-drive-based and includes real-time traffic info. Adaptive xenon headlamps, which help improve vision in dark corners, are standard on the 135i and 135is and optional on the 128i. Also, LED Adaptive Brake Lights grow brighter depending on the brake force. That's in addition to plenty of standard safety equipment, such as stability control, side airbags and brake-drying and brake stand-by functions. The 135i Coupe and Convertible might be among the more affordable BMW models, but they come with one of BMW's best gearboxes--the available 7-speed dual-clutch DCT. The 1-Series' unencumbered driving feel is certainly a selling point for those who enjoy a curvy road. Like much of BMW's lineup, the 1-Series is among the best-steering vehicles in its class with excellent handling and poise to boot. BMW's convertible setup is also a good selling point. Next to many of the newer retractable hardtop designs, the 1-Series soft-top arrangement is an excellent way to enjoy the sunshine without sacrificing a lot of trunk space.